256 pages | 24 B/W Illus. 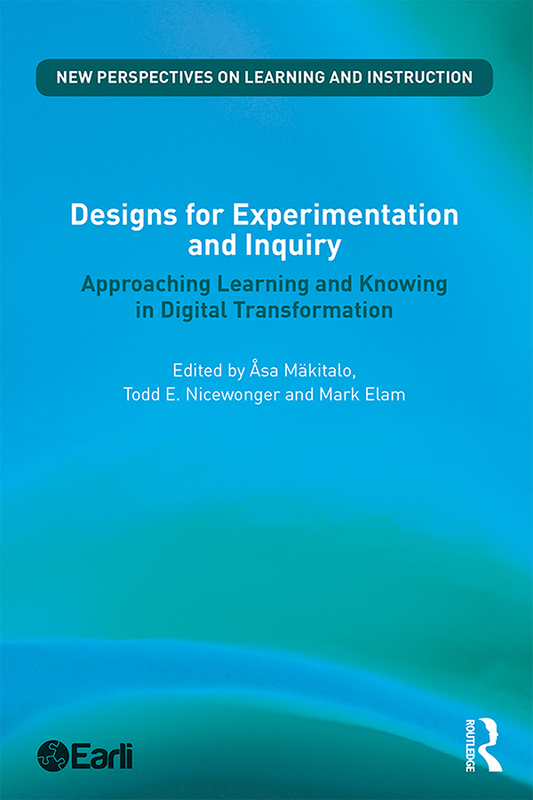 Designs for Experimentation and Inquiry examines how digital media is reconfiguring the established worlds of research, education and professional practice. It reflects on the theoretical, methodological and ethical issues shaping contemporary engagements with digital learning and offers insights for both analysing and intervening in digital learning practices. Expertly researched and written, this book is a unique resource for scholars, researchers and professionals working in the fields of digital design, applied technology and the learning sciences. Åsa Mäkitalo is Professor of Education and co-director of the Linnaeus Centre for Research on Learning, Interaction and Mediated Communication in Contemporary Society at the University of Gothenburg, Sweden. Todd E. Nicewonger is Project Director for Destination Areas at Virginia Tech, USA. Mark Elam is Professor of Sociology at the Department of Sociology and Work Science at the University of Gothenburg, Sweden.